This article summarises some of the key challenges facing UK manufacturers in 2016. It is difficult to predict what may happen over the coming months and years following the UK’s vote to leave the European Union – a lot of questions remain unanswered. Many manufacturers will be rightly concerned about any negative impacts to the UK economy that Brexit will bring and how that will in turn impact their business. The post-referendum exchange rate volatility (which may continue for a prolonged period) has had a varied impact across the UK manufacturing sector; the top line is that imported raw materials and components have largely become more expensive, whereas exports have become cheaper and more attractive to potential buyers. In the short to medium term the weakening of the pound has provided exporters will some much needed relief, but no one really knows what’s coming next or what it could all mean in the long term. Exiting the EU will likely bring both opportunities and challenges for manufacturers – much of this, however, will depend on the terms that the government is able to negotiate post-exit. In short, the UK is simply not creating enough engineers and, as we have spoken about before, this is one of, if not the, biggest threat to the manufacturing sector today. Over the coming months and years, it will be even more important for manufacturing businesses to form relationships and work closely with local schools and universities, as well as the government. This is of course already happening. The introduction of the apprenticeship levy (from April 2017), whilst bringing an additional payroll costs for large employers, is also a positive development in this area. Apprenticeships are very important and, with an ageing workforce, manufacturers must look to the next generation to recruit people for the future – for tomorrow’s business. A recent report from the manufacturers’ association, EEF, found that UK manufacturers need to step-up their planning for cyber security. The headline finding from the report was that almost half of manufacturers have failed to increase their investment in cyber security in the past 2 years. Among small manufacturers, this figure rises to 56%. With manufacturing businesses increasingly adopting technology and with data continuing to play a progressively critical role in manufacturing, the risks that businesses in this sector face are changing at a rapid pace. Manufacturing businesses will inevitably find themselves more vulnerable to cyber breaches and intellectual property crime and infringement in the years to come, and need to be prepared for such attacks. With the new EU General Data Protection Regulation (GDPR) finally released, in April 2016, manufacturing businesses will need to start planning ahead and preparing for the changes. In the short term, given the timing of the UK’s exit from the EU, UK businesses will be required to adhere – at least for a few months in 2018 – to the new rules, which apply from May 2018. In the longer term, although it is unclear whether EU GDPR rules will still apply in the UK (much will depend on post-exit negotiations), it is likely that any new UK data protection standards would have to be equivalent to the EU’s GDPR framework. Manufacturers will therefore still need to prepare for and start to comply with the new EU GDPR data protection rules, before the regulation comes into law in 2018. As the new rules bring greater power to authorities, data protection errors will now be far more expensive – both financially and through loss of reputation – than ever before. Find out more about the new rules here. Today’s manufacturing sector is a fast paced and consumer driven market, which is why product development, research and innovation and becoming increasingly important. Britain historic strengths in innovation and design, particularly in the manufacturing sector, will therefore continue to be very important in terms of driving future growth and maximising profitability. A number of things are likely to happen over the next few years as the sector evolves, including a bigger focus on 3D printing, automation and data analysis. Whilst there are clear benefits of these technologies, they also bring challenges such as the potential cost of initial set-up and the possible problems that mass customisation, for example, may bring. It will be interesting to see how many manufacturers adopt a greater technology-driven approach in the coming years and how that influences customer demand and buying patterns. In our experience, innovation in the manufacturing sector is essential if a firm wishes to take advantage of some of the more profitable opportunities in an exciting but challenging market. The manufacturing is going through a period of significant change and in 2030, 2040 or 2050 the sector will look very different from today. 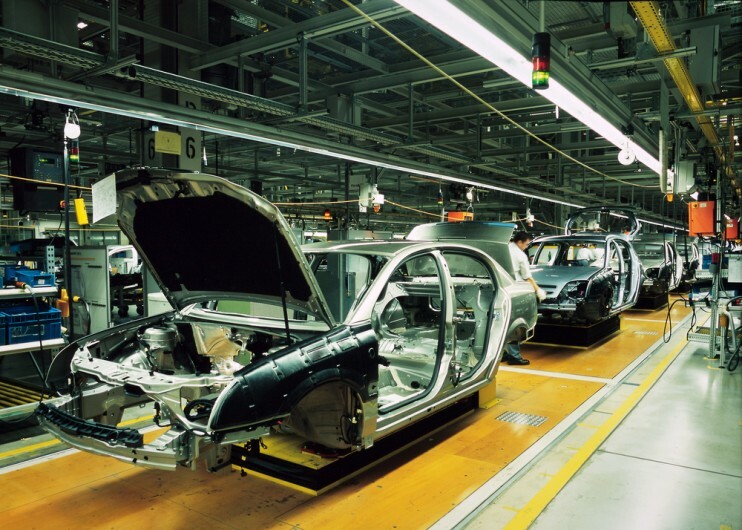 Manufacturing will be virtually unrecognisable from that of 20 years ago.